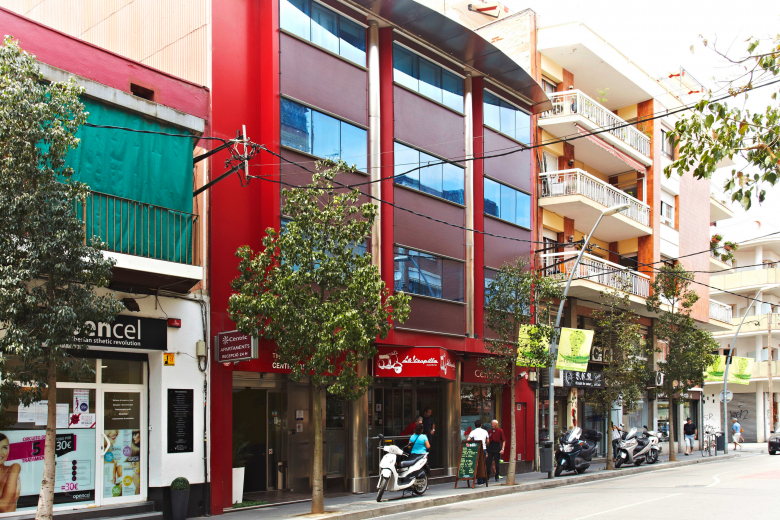 Cervantes is a smart modern studio located in Castelldefels, a charming Mediterranean town next to Barcelona famous for its sandy beaches and warm climate. 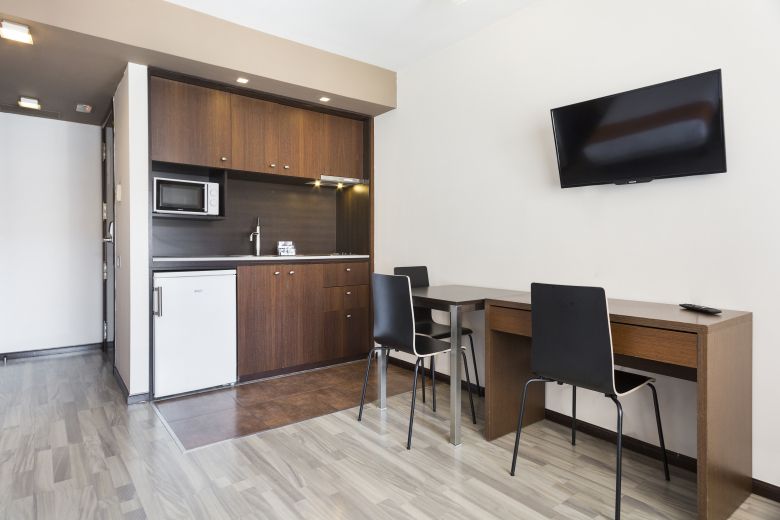 This cozy studio unit is equipped with all the amenities you need to make your stay comfortable and enjoyable. 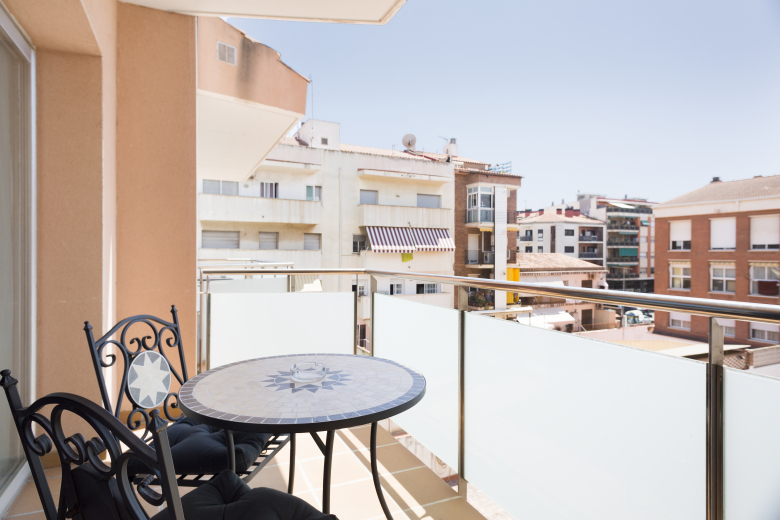 Featuring two twin beds and a convertible sofa, this unit can accommodate up to 3 people. 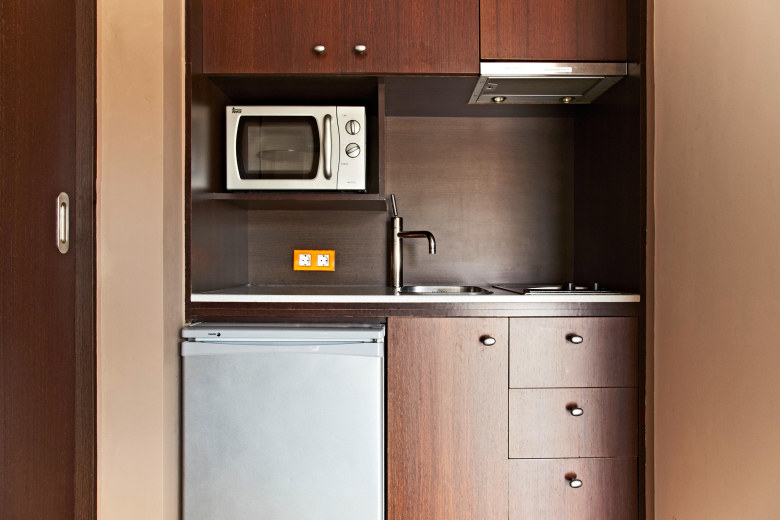 A kitchenette with a refrigerator and a microwave oven is at your disposal. The unit has a high speed WiFi internet and a TV. This is a pet-friendly apartment, so if your pet insists on joining you on your trip, for a small fee you’re welcome to bring them along! Location, clean room and bathroom, and above all, the friendliness of the reception lady which helped us all the way, including searching in her computer which Terminal at the Barcelona Airport our plane was leaving from. She also called a taxi at 6 AM. The room with balcony was a repeated very pleasant lodging experience, since we have stayed at this hotel several times in the past. Apartamento muy completo, céntrico y limpio. IT is à Nice place to stay. It is easy to go by train to Barcelona. The people are friendly in casteldefelles. They made up your bed every day and cleaned your room. 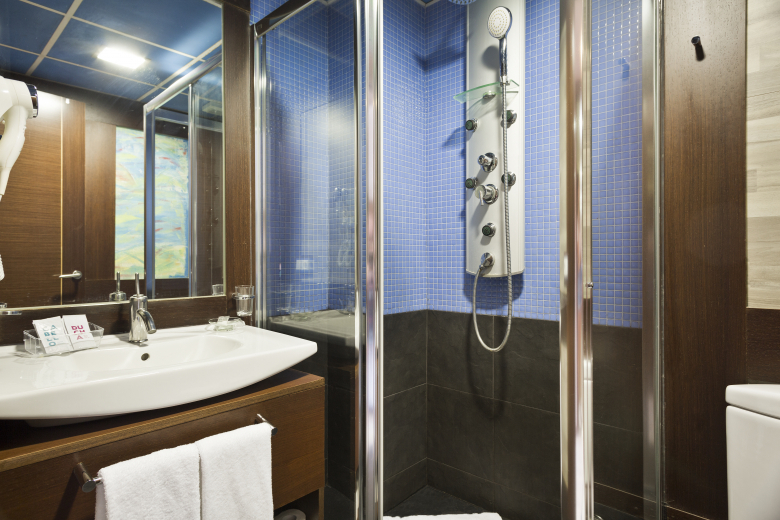 You'll get clean towels. When you would like to go to the beach you can go by bus. That's 9 minutes.